The annealing furnace is fundamental during the working of the most various metals and is part of the industrial furnaces. It allows to perform a phase of primary importance that is the one of the annealing of a metal, to give the object a chemical, mechanical and structural equilibrium. 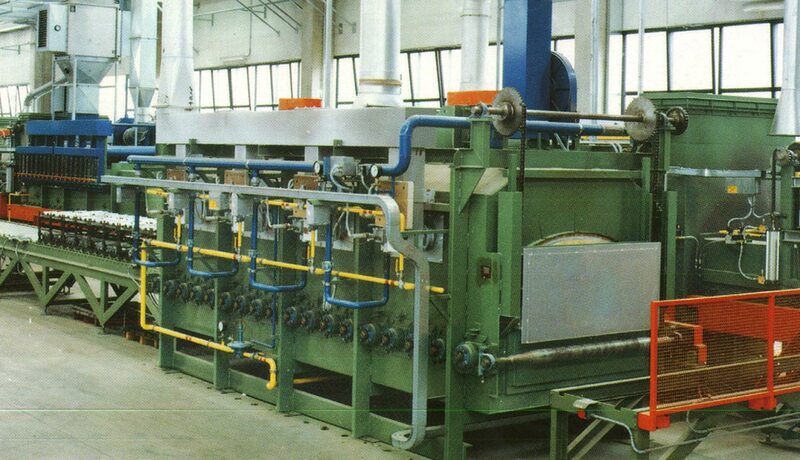 The annealing is a kind of metal treatment that includes different kinds of works. It can be at direct contact with the flame, at vacuum (that is with a pressure lower than the atmopsherical one), the cyclical, and again intermediate, final or complete. Unlike the tempering, besides, the process in the annealing furnace and the following cooling are really slow and not sudden. The stay in the depends on the material treated, but is in any case superior to the one of the other processes. The aim of this phase is to confer ductility to the material, for how a metal ductile can be. Thanks to the annealing furnace, the element can find a chemical, mechanical and structural equilibrium. In particular, the internal tensions and the microstructure of the surface is changed. The consequences are the conferring of a great resistance but, at the same time, a better flexibility. The peculiarity of the annealing furnace can be traced even in the cooling moment: unlike the other treatments, infact, in this case the cooling takes place inside the oven itself. There are several types of annealing furnace, but all of them follow the same principle of the reaching of really high temperatures for a relatively long amount of time: we are talking of a medium of one hour for every 50 mm of thickness of the object. Temperatures and times can be of course different depending on the material because, for example, aluminium and copper have different points of melting, just like all the other metals. Thanks to our know-how, Campana Forni is able to design and realize machines for annealing with the maximun efficiency, that allow the obtaining of the desired result in the fastest and most precise possible way.